Professional communication key to positive first impressions! So many of your first encounters with a potential employer will be by email or by phone. Don’t let bad habits sink your interview before you even know it’s being offered! Here are some common sense tips on how to make sure that your phone and computer are helping you in your job search! 1. Clean out your email inbox! If your inbox is at capacity, then anyone sending you a message will have it bounced back to them. Likely, an employer won’t try twice, they’ll just move on to their next candidate. Also, if you have a full inbox, you may miss important messages as they get buried in the mix. Today’s post is written by chemical engineering student, Kyle McLaughlin. Kyle was selected by ECS as runner-up of the 2013 OSU College of Engineering Cool Co-op Award! Today's post is written by ECS Career Advisor, Kaitlin Schafer, who advises intern, co-op, and full-time employment seeking students. May include photo, marital status, age, race, etc. 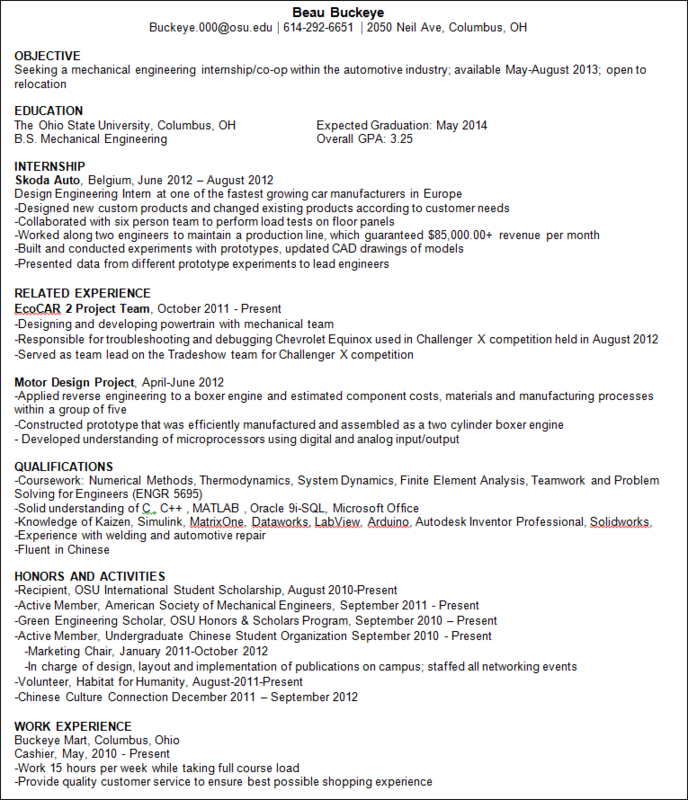 See the resume sample for an international student below.